Extra Magic Hours Make Late Night Magic Kingdom a Playground! Are your kids night owls? Want to impress tweens and teens? Nothing says “fun mom” like hitting Magic Kingdom at 11pm and closing it down at 2am. This Extra Magic hours “magical” memory will stand out for them from their Disney vacation for years to come. There are many benefits to staying in a Disney resort, but THE most valuable ones is access to Extra Magic Hours. That’s when a theme park opens an hour early or closes late but only Walt Disney World resort guests have access. While many folks take advantage of the early access very few take advantage of the late ones. It is absolutely worth a shake up in scheduling to go. 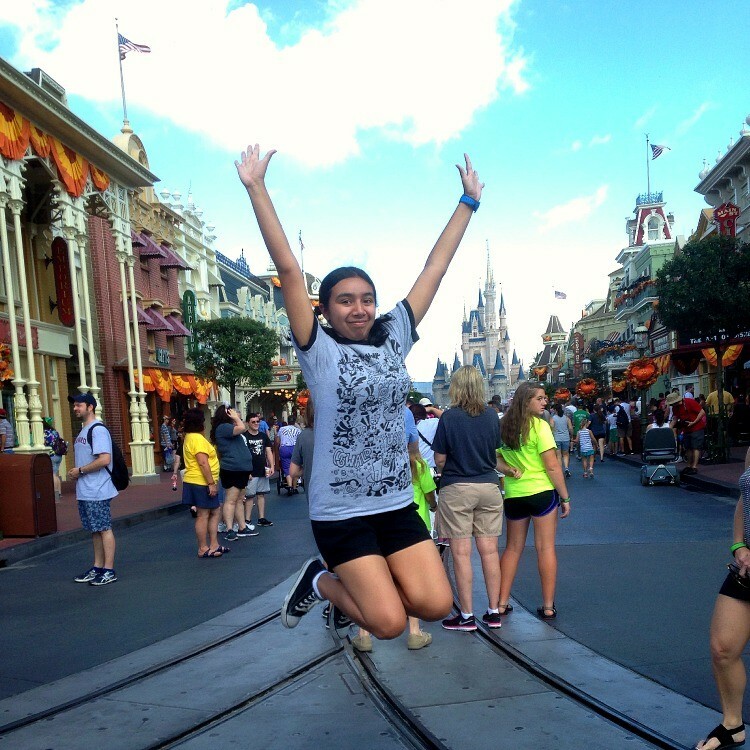 Magic Kingdom Extra Magic Hours are truly magical! Are you itching to ride Splash Mountain as many times as possible? Want to sit in your very own row on the Seven Dwarfs Mine Train or Big Thunder Mountain Railroad? Late night Extra Magic Hours are for you. I explain why staying up until 2 am in a theme park is the perfect idea, whether you have kids or are flying solo. If your family is like mine, you’ve got kids of varying ages. That’s great in real life. 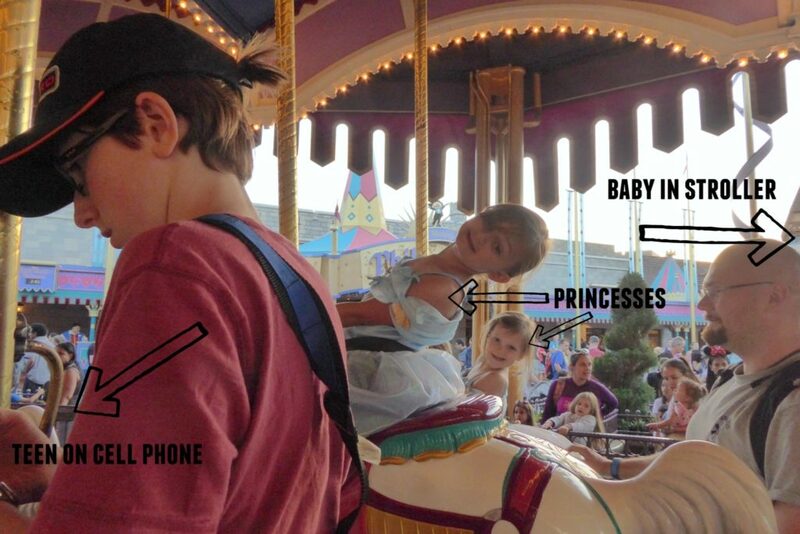 But at Disney juggling kids who range in age from newborn to teenager is a logistical nightmare for rides. The smaller kids are interested in some of the more juvenile-themed rides, the teen wants to do all the thrill rides. And the baby can’t go on any ride with a height restriction. We don’t always have two grownups on trips. So what is a solo parent to do? Late night Magic Kingdom Extra Magic Hours for the win! We ride all the rides the girls want to go on (and most are OK to bring the baby on). Then my son can race through the lines for the thrill rides with his 6-year-old sister. Since the crowds are so small and the lines are short, I feel like I can send them through solo. Then I hang back with the baby and the 4-year-old. They emerge excited (and in a speedy fashion) and are ready to tackle the next ride. 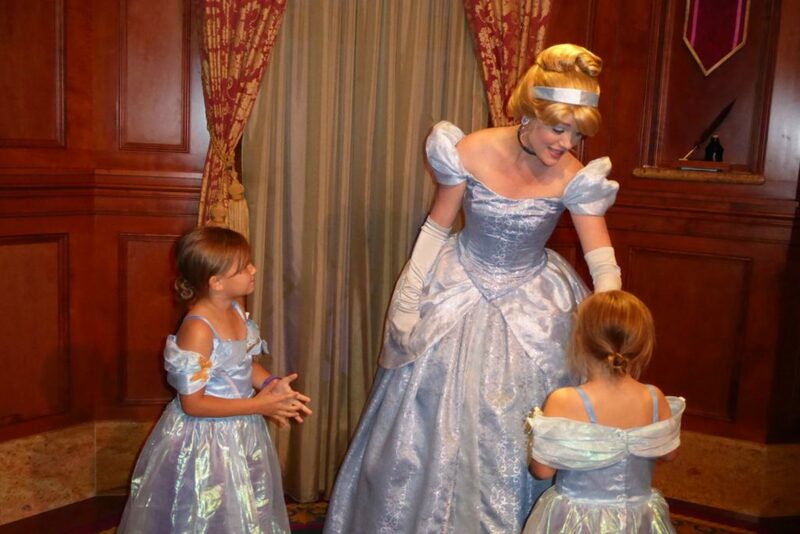 Want to visit with the princesses without waiting in long lines? You guessed it: late night Magic Kingdom Extra Magic Hours! We’ve also used Extra Magic Hours as a treat. When my son was 8, he and I went as an extra treat after the whole family explored Magic Kingdom and Hollywood Studios earlier in the day. With a newborn and a toddler for siblings, he had been patient with the kiddie rides so I determined that the late bedtime was worth it. He squeezed in a nap earlier in the day to earn the privilege. We both still talk about the experience. We were able to ride Splash Mountain EIGHT times in a row with no wait. We even got our own “log” two times. We would get off the ride and run back through the line (I felt like a big kid that night)! We rode Big Thunder Mountain Railroad three times back to back. The 8-year-old pronounced it “awesome”! Journeying to Walt Disney World for an adults-only trip? You certainly know if you head for the Happiest Place on Earth that you are bound to be surrounded by kids even if you didn’t bring any. Head to the Magic Kingdom Extra Magic Hours at night for a reduction in the sheer number of children. It’s a great time to pack in those thrill rides with your friends (and get some great pictures since the rides won’t be full). And it so much easier to wander the park without having to dodge as many strollers. TravelingMom Tip: If you’re planning to visit Epcot on your trip, make it a late night too! Evening Extra Magic Hours at Epcot are a great time to try the foods (and drinks) of the World Showcase without waiting in long lines. Bring your room keys if you don’t have Magic Bands. Have each person keep them easily accessible. You have to show them to a cast member to ride the rides. It’s how they verify that you are a resort guest. Take a nap. The Extended Park Hours are only worth it if everyone isn’t a cranky mess. Rent a stroller for the little ones! Some of them may end up dozing and sleeping kids are heavy. Get out of the park in a timely fashion. The transportation only runs for 1 hour after the parks close. Ask a cast member what rides will be open. Figure out where they are on the map. Ride any rides that are close together back to back in order to maximize time and lessen walking. ENJOY! Disney is magical when it’s all lit up at night. If you are going to buy an official Walt Disney photo, nighttime is the time to do it. Wow, Nas, that’s a bit eye-opening. 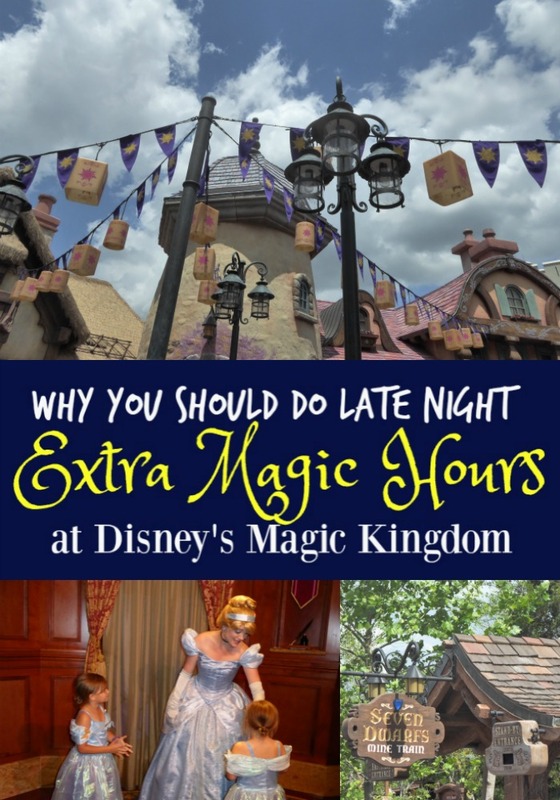 It’s been drilled into my head to get there early, but I never considered the advantages of staying late – or even later, with extra magic hours! Next time around, we’ll be trying the “nap and night time” routine to minimize our wait times.